New Jersey!After what feels like forever, I finally got my placement for the summer! If you don't know, back in December, I applied for Work Experience USA, a work placement programme for students to work in the States. Last year, I spent a year living and studying in Minnesota and it was the best year of my life, and ever since I have been absolutely itching to get back to the States. Anyway, to cut a super-long story short, I had my heart set on a placement working in a gift store in San Francisco, but I found out about a month ago that I wasn't chosen. I was absolutely devastated and considered dropping out of the program, and was feeling incredibly disappointed with the options that were left for me. A few weeks ago, however, I received a phonecall about a lifeguarding position in New Jersey, but after everything that had happened with San Francisco- where I had told everybody about it and had really built my hopes up about going- I kept quiet about the placement, and decided to keep an open mind about my other options. Anyway, yesterday I received the phonecall I had been waiting for- I was going to New Jersey! I'm going to be spending 3 months working as a lifeguard at Breakwater Beach in Seaside Heights, New Jersey. With the stress of university over the last few months, it's going to be so nice to get back to the States and explore a new place. I'm only 2 hours from New York City and super-close to Philadelphia, so I can't wait to go to these exciting places too! I obviously have about a gazillion things to sort out now with visa and housing and everything else but I'm so relieved to know where I'm going. I'm also super-excited because I get a month to travel in September so I'm going back to my beloved Minnesota to visit all my friends out there! Now, just to get the next 8 weeks out of the way! You'll be in Minnesota in September when I'll already be in Kosovo! Sad day! I'll just have to come visit you in England! So excited for you, dearie! Oh no are you kidding? Oh I'm so sad. I was so excited to see you! When do you leave? Ahhh i'm so happy for you! Wow, congratulations! That's fantastic news! Hey I live in NJ! I'm more up north though, Hoboken, it's about 10 min. from NYC. Congratulations!! ah. I live an hour and a half or so away from Seaside Heights. In fact I have loads of family who live in Toms River which is next door to Seaside Heights. I hope you have a lovely time there. The boardwalk is small there though, just to let you know. The beaches aren't that nice either. I hope this doesn't disappoint you too much. eeeeek! Anyway, I live in Northern NJ 20 minutes from NYC myself. 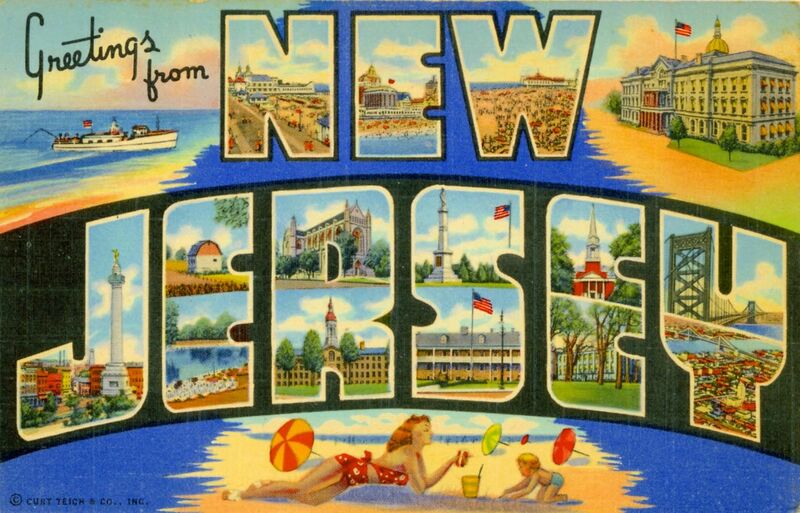 NJ isn't that great. . .but hopefully you'll enjoy it more than I do (I've lived here my whole life and would love to move to a less busy area, more like a rural area). Just like Texas isn't what they display on GCB. But there sure are a lot of those types of people here. But it's a joke, so we can laugh at it. Not sigh. That is going to be so much fun! I lived in NJ for a year back in college and while we werent in the most chic neighborhood it was still a nice place to live for awhile. Congrats! You'll be near me. I live a few hours away in Pennsylvania- about one hour and thirty minutes from Philly. I think you'll love the East Coast! What is your living situation like? I have friends that do family vacations in Seaside every year, I'll tell them to visit you :) And please let me know when you inevitably make trips to NYC - would love to give you recommendations!